1. 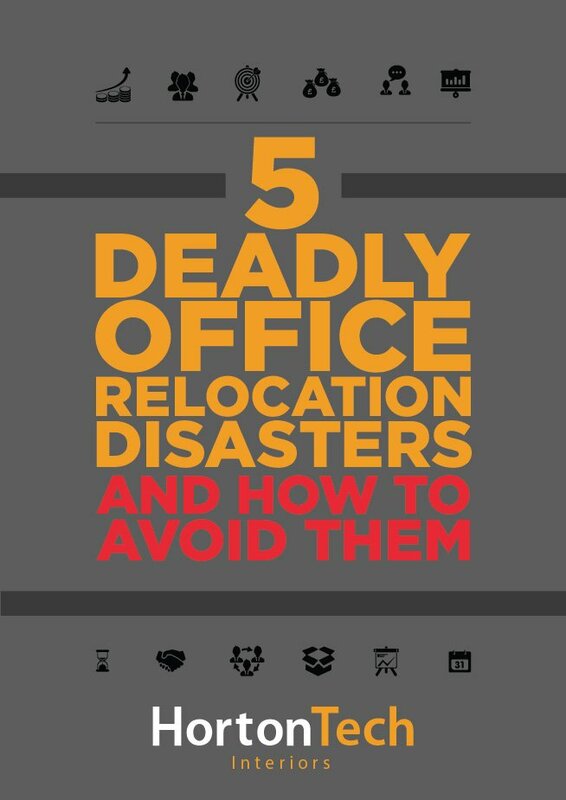 Flexibility: Adaptability is the name of the game with this trend in office design. Minimal restrictions coupled with maximum flexibility leads to an office that can adjust itself to meet the changing needs of its employees. In this setup furnishings are selected for ease of adjustment, allowing employees to sit and work where they wish as well as making it easy to adjust space for new hires or if one department wants to sit closer to another one to coordinate better. 2. Going Green: Natural patterns, open spaces, wood and green shades are hallmarks of this particular trend. Taking inspiration from nature, this setup seeks to create an oasis of calm in the hustle and bustle of modern life. 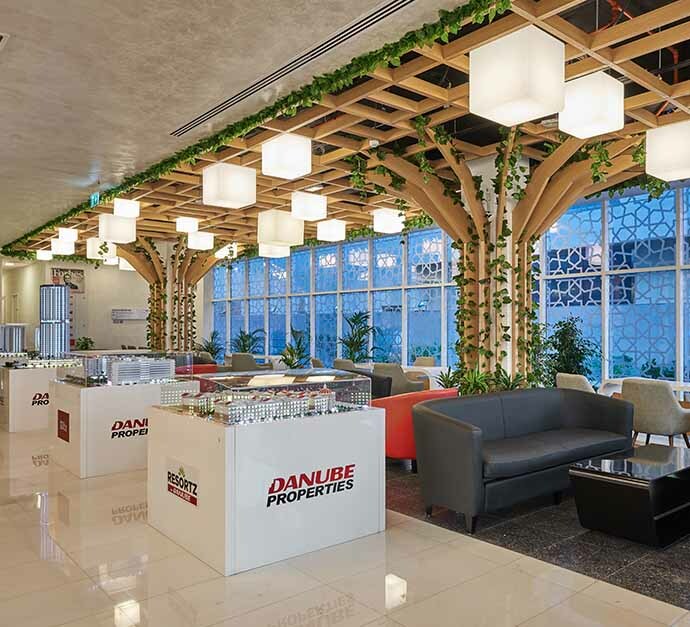 In a place like Dubai, where the natural world seems lost beneath a forest of steel and glass, this is a good way to foster calm in the workplace. 3. Integrating Technology: Properly planned and accounted for, a technologically focused workplace can give your employees a massive boost in productivity, helping them work faster and collaborate easier than ever before. Advances in technology such as cloud computing, smart screens, wireless charging ports and more offer ways for employees to work smarter and without restrictions. Going forward, who knows what the future holds, AI analysis tools, VR/AR meetings, and adaptive workspaces customized to the individual employee, what was once science fiction is rapidly becoming science fact and a part of the workplace of tomorrow. 4. Collaborative Spaces: An extension of the open office philosophy is the idea of the collaborative space. 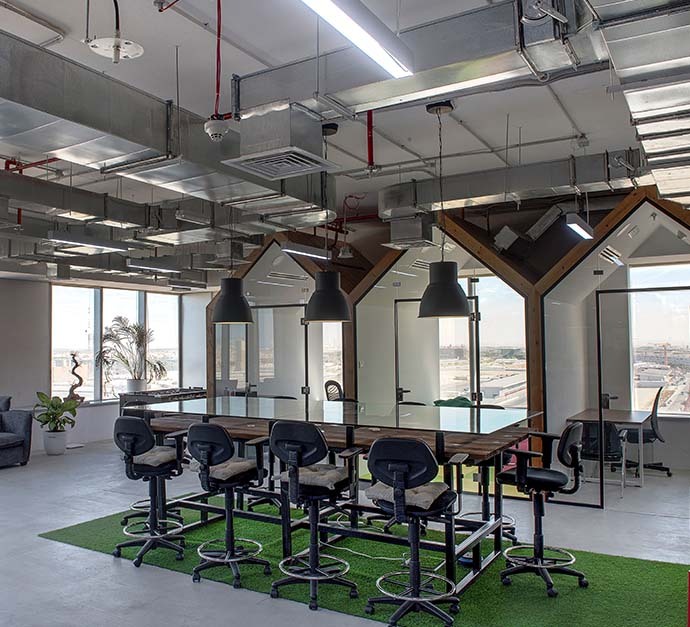 Envisioned as a place for employees from all across the company to come together and brainstorm, these spaces are designed for ease of use, with whiteboards and comfortable seating, as well as visibility, marking them out as places easy to access and use for anyone. 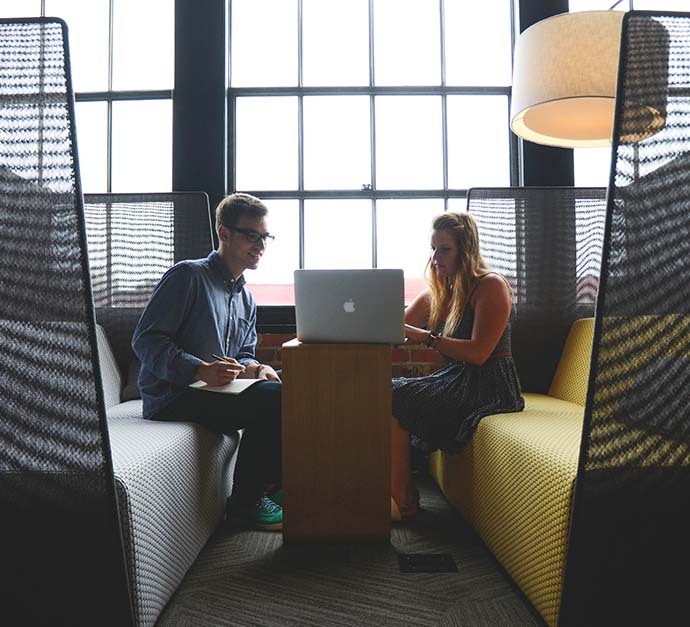 Collaborative spaces help foster a stronger sense of community within an organization and serve as a hotbed for new ideas. 5. Privacy: A somewhat counter-intuitive trend compared to the general push towards openness and collaboration, there are still compelling reasons to not do away with enclosed spaces altogether. Some types of work require privacy, such as financial and legal roles in a company and other employees might prefer working without the distractions that can arise from a more open plan office, however, in such cases a semi-enclosed space or booth can work just as well and serve as a happy medium between openness and privacy in a workplace. 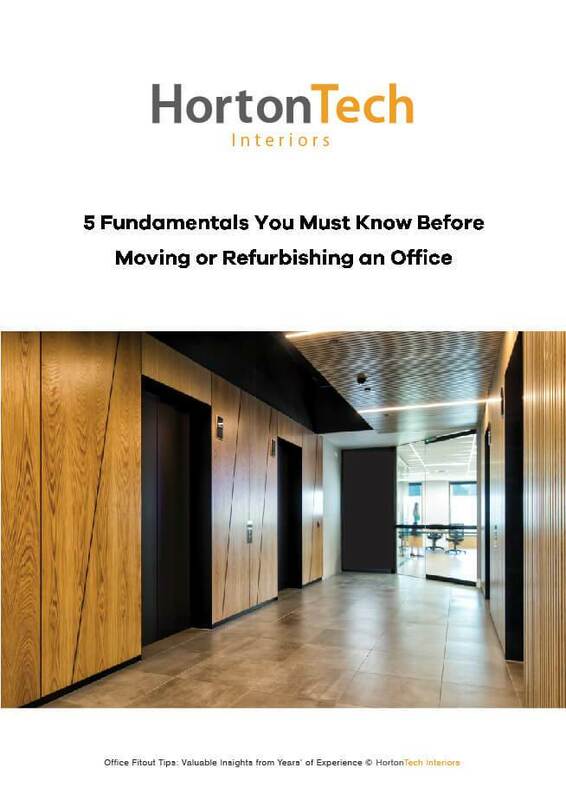 Focusing on one of the above trends, or integrating all of them into a seamless experience for both employees and clients is feasible, however, the most important thing to understand during the design and planning of your companies new office is your company itself. The ideal office is a reflection of the company, highlighting its values and people to any and all who visit. 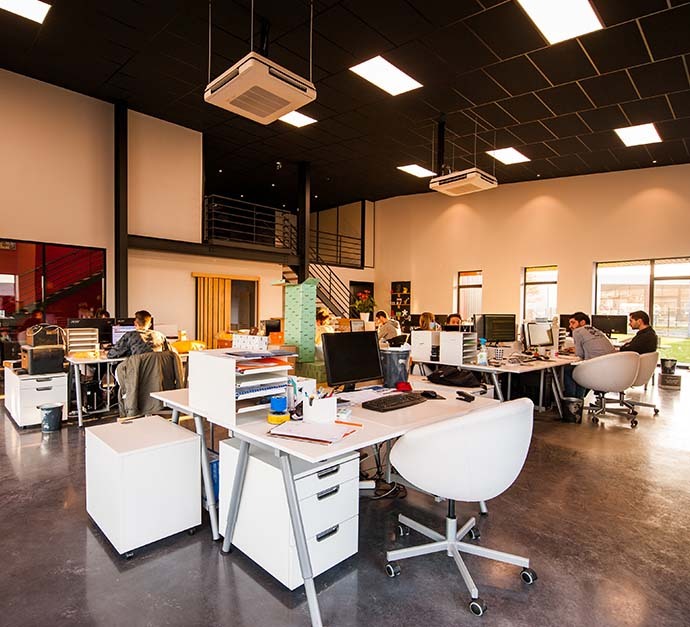 Though aesthetics play a very important role in any design, integrating your company’s values, people, ethos and processes into the design is what turns a good office design into a great one. Inspired? Looking for a way to add these trends to your workplace? 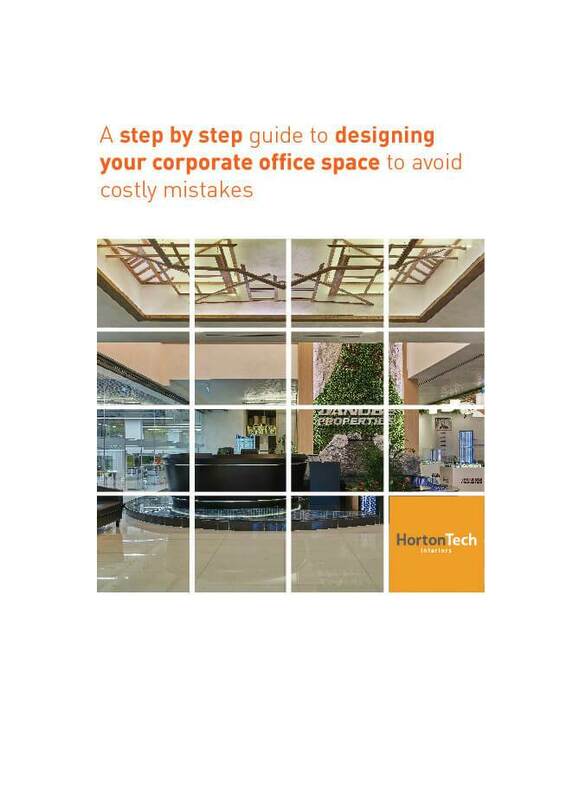 Our team of interior designers at HortonTech can help! Send us an email at info@hortontech.com or give us a call at +971 55 796 0547/+971 43 881 163.